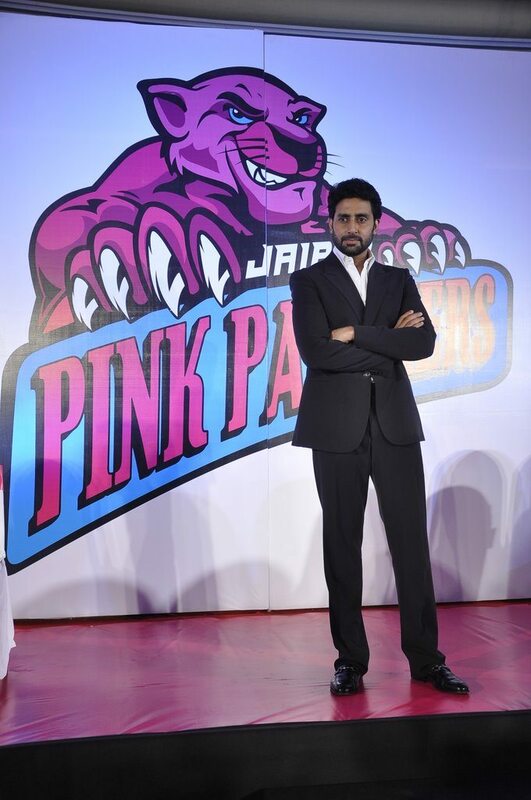 Jaipur Pink Panthers will be Abhishek Bachchan’s new Kabaddi team. Abhishek Bachchan has bought over the Rajasthani Kabaddi team – Jaipur Pink Panthers – and was recently in pink city to follow up with his team’s preparations for the upcoming Pro-Kabaddi league. While many other actors in the industry are busy promoting popular sports, Abhishek has decided to walk the unconventional path and align with the less glamorous sport of Kabddi. The ‘Refugee’ actor said that he has a childhood connection with the sport, as his father Amitabh Bachchan had introduced him to this game. The actor added that he used to participate and play the game as a student in Delhi. Abhishek is currently busy wrapping up the shoot for his upcoming movie ‘Happy New Year’ by Farah Khan and ‘All Is Well’ by Umesh Shukla.